The Housing Court Liaison for University District advocates on behalf of the community for properties that are cited for housing code violations and referred to the City of Buffalo’s Housing Court by the Department of Permit and Inspection Services. Is there an issue in your neighborhood that needs attention from the city? Broken street lights, pot holes, unshoveled sidewalks, and housing code violations can all be reported to the city via 311. For questions or more information please contact the University District Housing Court Liaison, Fred Brace. 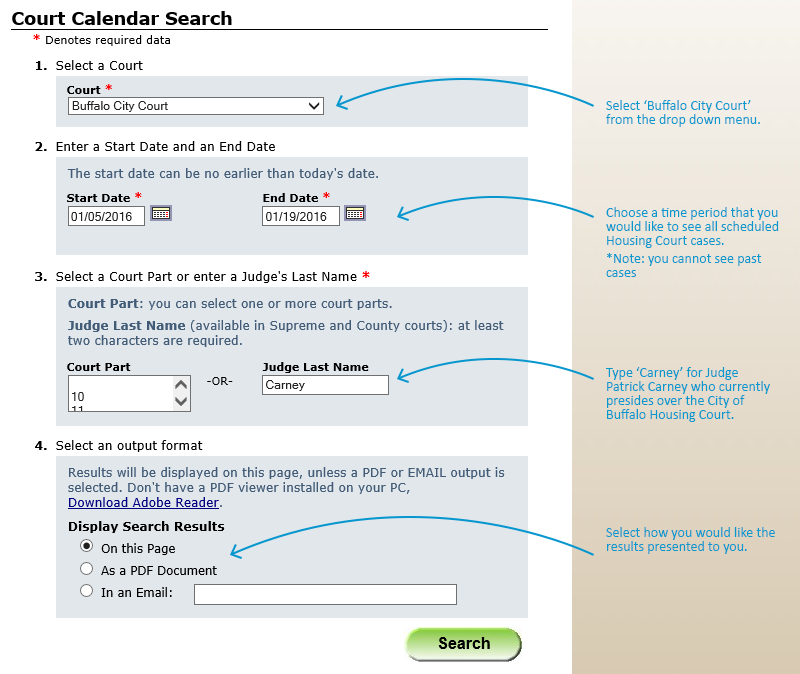 This online system allows users to search the City of Buffalo’s Housing Court calendar for upcoming court cases. This online system allows users to search for a specific property in Erie County based on owner name, address, or tax map number (S-B-L or Section-Block-Lot). This online system allows users to search for a specific property in the City of Buffalo based on owner name, address, or bill number. When using the county’s or city’s property search tool, if a property is owned by a business, not-for-profit corporations, limited partnerships, limited liability companies or limited liability partnerships, this system allows users to search New York State’s Corporation and Business Entity Database to find additional information on these entities (such as mailing address).